Experience the golden dunes of the great Indian deserts, speckled with the bright colours of Rajasthani culture. Travel across Agra, Jaipur, Pushkar, Udaipur, Jodhpur, Jaisalmer, Bikaner, Mandawa and Delhi on an 11 nights and 12 days tour. Be picked up from your hotel at 7.30 in the morning to be driven in a luxury car to Agra, with a brief stop at Sikandra to be lodged in a comfortable hotel in the city. See the city of Agra and the Wonder of the World, Taj Mahal over the afternoon. Also visit historical monuments like Agra Fort and spend the evening shopping for souvenirs in the Agra local market. Spend the night at a hotel in Agra. Leave your hotel at 8 am in the morning and be driven from Agra to Jaipur. Stop over at Fatehpur Sikri, the residence of Emperor Akbar. Reach Jaipur and check into your hotel and relax for the rest of your day and explore the Pink city in your own time all of evening. Next morning at 8 am, be ferried to Amber Fort, the seat of power during the reign of the Rajput kings of Rajasthan. The fort exudes the essence of the Rajput princes and is a brilliant example of Rajput art and architecture. The lake facing the fort reflects the balconies and ramparts of the fort and the balconies offer a panoramic view of the entire countryside below the fort. The rooms of the fort are still decorated with a royal panache with rooms still maintained with the property of the Maharajas. The royal halls boast of beautiful murals and wall paintings and decorated facades with mirror mosaic and beautiful motif works. At 2 pm in the afternoon, leave Amber to return to the city of Jaipur and explore its beautiful City Palace Museum which brings together the best of the Rajputana and Mughal artistic and architectural heritages. The Museum houses relics of the royal kingdom, complete with the royal armoury and wardrobe. Proceed from there to Janatar Mantar, the observatory commissioned by Maharaja Jai Singh, who took a fond and keen interest in astronomy and has constructed observatories across the country, including the one in Delhi. Also witness the wonders of Hawa Mahal, the Palace of Winds, a multi-storied ornate palace constructed primarily for the women of the Raja's zenana to witness Prince Edwards visit. The fourth day would be dedicated to the city of Pushkar, leaving Jaipur at 8 am in the morning to reaching Pushkar at 2 pm. The city Pushkar is famous for the holy mela or fair held here. It is also an important holy place and you would be visiting the Brahma's Temple & Pushkar Lake. The afternoon will be spent going around the city and shopping. After this you can retire to your hotel room for the night. Leave Pushkar at 8 am in the morning of the fifth day and be driven to Udaipur and accommodated in a comfortable hotel in Udaipur city. Have the afternoon for yourself to relax and explore the city on your own. 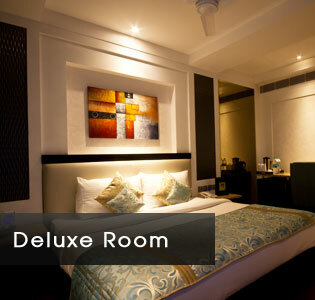 Spend the night in Udaipur. Leave your hotel room at 9 am in the morning to embark on a tour of the beautiful city of Udaipur, beginning by visiting Sajjan Niwas Garden followed by a visit to the famed City Palace and Jagdish Temple. Spend the later part of the day strolling down local markets and taking a look at exquisite Rajasthani craft or relaxing in your room. Spend another night at Udaipur. Leave Udaipur at 8 am in the morning to drive down to Jodhpur with a brief stop at Ranakpur. 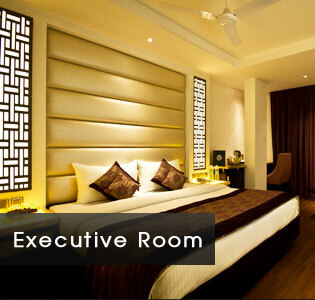 You will be lodged at a hotel in Jodhpur and spend the night there. Lounge about in and around the hotel premises or discover the local market at leisure during the evening. Embark on a city tour of Jodhpur at 9 am in the morning. Begin by visiting Mandore Garden followed by Jaswant Thada and the majestic "Mehrangarh Fort" looming large on a hilltop in the very heart of Rajasthan. Later in the day, leave Jodhpur for the onward journey to Jaisalmer and check into a luxurious hotel at Jaisalmer to spend the night in comfort. Begin your day at 9 am and leave your hotel for a tour of the city. Spend your morning visiting the Jaisalmer Fort, Palace and the ancient carved Jain Temples. At about 4 in the evening, experience one of the greatest attractions for tourists in Rajsthan, a tour on the ship of the dessert, the camel. After an exciting evening, return to your hotel to rest and retire for the day. Leave Jaisalmer for Bikaner at 9 am next morning to check into a hotel at Bikaner. Find your afternoon free and leisurely and plan your evening as you fancy. 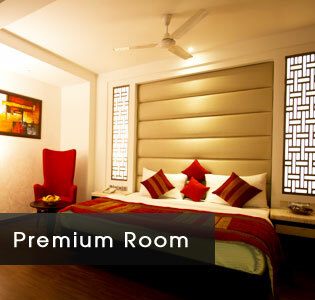 Spend the night in Bikaner and enjoy the sumptuous and rich cuisine of Rajasthan. Your will be taken around the city of Bikaner the next morning. Bikaner the red city was founded by Rao Bika and served as the capital of the Bikaner princely state. It has some wonderful sights to offer the enthusiastic tourist like the Lallgarh Palace and Junagarh Fort. After seeing the best of Bikaner, you will be driven down to Mandawa or Nawalgarh in District Jhunjhunu where you will be lodged for the night in a nice hotel and have the day to yourself to relax, read or go for a nice long walk in the arid but beautiful landscape of the Indian dessert. Start your morning at 8:30 am and visit Mandawa village, famous for the local art of wall painting and see the beautiful Fresco that adorn its walls. From there return to Delhi in the car and be dropped off at which ever point that suits you best.